The splurges after the divorce that helped me find my happy again! My splurges just for me after the divorce – how they helped me find my happy again! It’s easy in times such as divorce (and after that REALLY rough winter) to basically do nothing but wallow in your own black cloud. (Don’t get me wrong, I did that too!) But, thanks to my Mom, I’ve always had the attitude that being miserable is pretty damned miserable and, generally, we don’t have to choose misery and the ONLY person who can ruin your life is YOU. During hard times, even when we feel we SHOULD be miserable, we can still, in fact, do some things for ourselves to ease the hell a bit. So, when the divorce was over, though I was still in dire straights, it turned out with him gone I was actually spending LESS a month then before even though I had to pick up the one household bill he had been paying. Of course I was still in blind-black-horrified-broken-hearted-panic because: Of course I was. I was looking at a rug on Amazon one day when the skies opened up and I literally saw the light at the end of the tunnel. I didn’t have to ask permission to do (or buy) anything ever again. I didn’t have to worry about what kind of bills I would have next month instead, for the first time, I knew EXACTLY where every single one of my dollars was going. My money was my own again. So, I bought myself a couple of things! 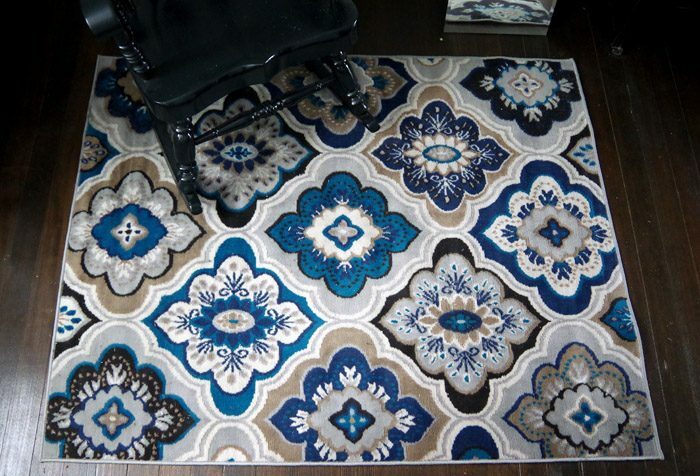 I had been drooling over this rug on Amazon for AGES when I realized it was actually quite inexpensive and it was OK to buy myself something I didn’t actually NEED. Turns out, something that makes you smile every day really is something we NEED. New sheets. My ex was a mason who covered his head in hair gel every morning. The combination of hair gel and rock dust/mortar/dirt meant that all of our pillow cases ended up black and stained. So, now that it was just me, I replaced my sheets! I’ve read it in at least a dozen different places online how incredible white sheets are because they make you feel like you’re on vacation in a hotel suite and, ya know what? They do! The only essential oils I ever purchased were those I KNEW I would be using in my household recipes. Two 50 packs of velvet hangers because I have ALWAYS wanted them but could never bring myself to buy them because my other hangers were working fine. I am SO glad I finally bit the bullet and invested in some decent hangers! These are really inexpensive considering the amount that you get but, honestly, you can’t put a price on your sweaters never falling off the hangers again. I’ve also noticed these hangers are easier on the shoulders of my tops too! 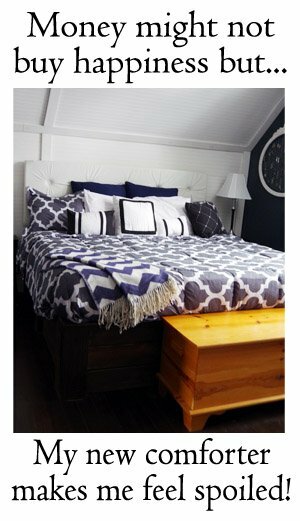 One of the first things I gave away was the black comforter that was given to me/us as a wedding gift. (I just couldn’t bare to look at it anymore.) Yes, I totally got rid of a perfectly good blanket because I didn’t like it! This beauty was given to me for my bday instead! A 12 pack of Surge Pounders. That’s right I purchased my favorite child hood pop. This chick who NEVER drinks pop and who literally avoids sugar like the plague bought SURGE. I only drink one or two a month lol (because it makes my teeth feel like they’re gonna rot out) but, ya know what? It makes me happy because, at least to me, Surge is my most silly splurge! Anything I didn’t like or want in my home anymore I simply gave it away or changed it or fixed it. And when I went to replace so many of the small items that he took with him I made darned sure that I got a far nicer version then the one he took! One Sunday morning I didn’t get out of bed until 1 in the afternoon, it may have been one of the happiest mornings of my life! I stood on my new rug and it occurred to me that, for the first time since my ex and I got together, I could even think about traveling again. 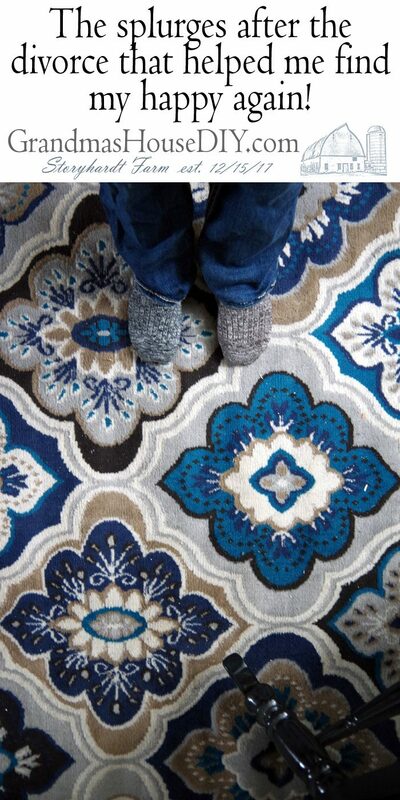 It was the true start of my becoming BLISSFULLY HAPPY… and it all started with the purchase of one little rug simply because it made me smile. Love this post. It’s packed with excellent advice and thoughts for anyone who finds themselves living solo again. Tarah, sounds like you’re moving forward quite sensibly, actually! Wishing you much happiness. Thank you Jean, hope you had a lovely holiday! So wonderful that you are doing things that make you happy-and feeling good about it! I have a set of white sheets that I only use when my husband travels -they make me feel amazing. Moving on is difficult, but you seem to be handling it pretty good – congratulations and keep doing what makes you happy! 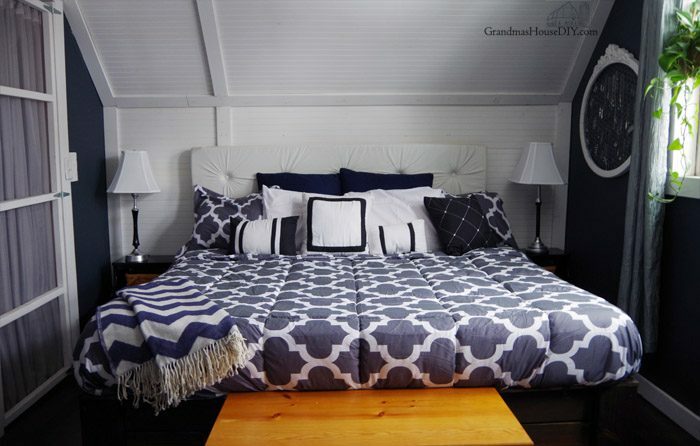 You have a new bedroom to go with that new life of yours! Horray!! And I am absolutely with you on taking a trip and enjoying yourself! You so deserve this! being happy again is the sweetest revenge, wouldn’t you say??? 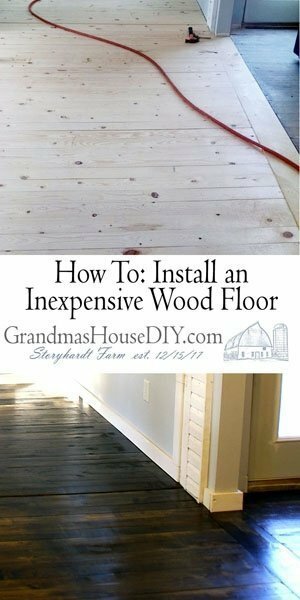 love your blog and i’m even a grandma myself! I LOVE your positivity through such a difficult time! I’m glad that you are slowly mending and doing things for YOU and your happiness! Thank you so much Natalie, have a wonderful week! It’s been over 10 years since I got my own place and bought myself a big set of fantastic ORANGE velvet hangers. I still smile every single time I lift one off the closet rod. I thought it was an act of renewal, turns out they were a great damn investment! Life moves forward… even after divorce, process all the hurt & heal…& sometimes its the littke things like a rug that can help us do this! Jennifer, thank you so much for sharing that with me! I’ve been doing all kinds of things, going out to eat, the movies etc. Everything I was never able to do when my ex was in my life, its such a good reminder of why this was so entirely the right decision. Have a wonderful week! That carpet is gorgeous and good for you!!! Retail therapy really does help, because it gives you a sense of control again. So happy for you. Thank you Leanna! Have a great weekend! Great post, looks like you got some great stuff. I can see how replacing some things that had bad memories would be helpful and healing after going through divorce. Thanks Leah, have a great weekend! God bless you for hanging in there, getting through it and finding your happy again, in some simple things! May everyday bring you some small joy! Loved this post! And I’m so glad you’ve treated yourself and that you’re finding joy again. I think the little things that bring a smile to our faces are the things that really make life special. Keep moving forward and I’m really enjoying visiting your blog each week. Thank you so much Leanne, have a great weekend! Sometimes people that go through a hard time need a little something to help them get through. Thanks for sharing with SYC. Thanks Jann! Have a great weekend! Thank you so much Tash, have a great weekend! Thank you so much Martina, its been a rough road but I feel like I’m really getting there! Have a great weekend! Personally, I think too often as women, we get that martyr brain going and feel like we’re called to lives of perpetual sacrifice and denial. WRONG! A little pampering/splurging/indulging can go a long way in sustaining us. Enjoy your new gifts to yourself! Thank you Alice, you are SO right! So I had NO idea you were going through divorce! I’ve been reading your blog for almost two years now and here I missed out. I am sorry because I know what it’s like. I went through a divorce back in 2003 and it was one of the hardest things I have ever experienced. But you are right about treating yourself. I did that and never felt bad about it. 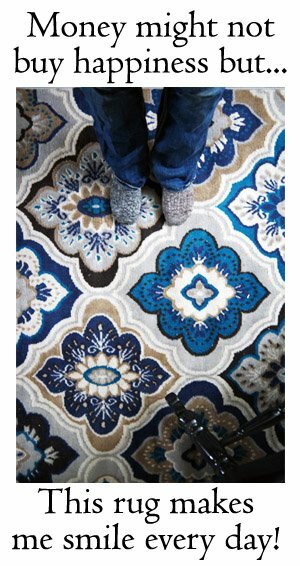 That rug looks like this cool flooring I have seen in small rooms as of late! I love it so much. Kari thank you so much. Yes, it was definitely one of the roughest things I have ever got through in my life, but, I am finally coming to the other side now and things are so much better then they ever were before. Have a wonderful weekend! That is a great rug! Thanks for sharing at Home Sweet Home! Thank you Sherry, have a wonderful week! Oh thank you so much Michelle! I know exactly what you mean! When I finally divorced after 22 years, I bought a Mission style futon, lovely end tables in the Mission style and other items that he would never have appreciated. Good for you!!! Thank you Julie, it is wonderful to be able to get a few things just for ourselves to help us move on and heal! I love, love, love velvet hangars. I bought them for my closet because I am a plus size woman that wears v neck or u neck shirts and they fall off of conventional hangars. The best purchase ever!!!!! It is so wonderful that you discovered these little gems!!! Lorraine yep they are completely awesome and I think its just hilarious how much something as simple as the right clothes hanger can improve our lives lol! And they’re really not that expensive either! Omg……I loved your post today. It simply cracked me up. I have a daughter going thru a divorce, right now, and I am going to forward your post to her. Thank you for sharing the love………you made my day!!!!! Thank you so much Tere, hope you have a wonderful holiday and send my love to your daughter for me!! I love your rug. It looks like a rug that I would buy. It sounds like your divorce was very freeing. Your mother is a wise woman. I’m glad that she was there for you. You seem like such a happy person. I’m glad that you have been able to move on and find happiness in your life. I love that you made a few splurges in your life. Thank you for sharing this post. Thank you Amy, it is funny but even small things like just being able to buy myself a rug made such a difference in easing the blow of having to have a divorce.